Should HR Use Credit Reports For Job Screening? The concept of using credit information as an employment metric began with the financial services sector in this country. In a Globe and Mail piece on the subject, from February 2011, the Toronto-Dominion Bank admitted to using credit information as part of their employee vetting process for some time. The feeling in the finance world is that employees with sketchy credit histories may be more susceptible to stealing or more prone to manipulation by those looking to defraud a bank or similar institution. "We do credit checks on all [potential]employees," said Josephine Quercia, who was then manager of talent systems and programs at TD. "It's part of our best practices and part of our responsibility as a corporate citizen because of the trust placed in us by our customers, shareholders and employees." The practice didn't remain strictly with the banking industry, though. In March of this year, the Canadian government revealed plans to use credit checks during their applicant screening procedures, too. One might think it reasonable, even responsible, to ensure the security of sensitive information or to safeguard the money that we expect banks and governments to keep in trust. Not every business uses this practice, however, especially in Alberta. According to a report from Alberta's Office of the Information and Privacy Commissioner dated Feb 16, 2010, Canadian Tire subsidiary company, Mark's Work Warehouse, was forced to stop using credit ratings as part of their screening procedures for sales associates. According to the Privacy Commissioner's ruling, "...it is my opinion that the Complainant's personal credit information was not reasonably required to assess how applicants will handle financial responsibilities and tasks associated with their employment duties as a (sales associate). Therefore, the personal credit information does not qualify as personal employee information for this purpose." Although it seems the tide is turning against companies who use credit checks for screening purposes, it is likely the practice will endure for the foreseeable future. HR managers of large corporations argue it is an important metric that reveals attitudes towards personal responsibility that are difficult to assess otherwise. Many feel it is integral to due diligence and may save their company from a negligent hiring suit. Is the Policy Worth the Potential Grief? Conversely, other companies, perhaps seeing how the trend is going in the US, may never embrace the practice. They fear if they discover something about the employee during the screening process they shouldn't know, the candidate's age, for example, the accidental revelation may be used as evidence in a hiring discrimination case. Other employers may be proactively heeding the warning from the Mark's experience. It may not be worth the information they might discover if it puts them in opposition to a Human Rights or Privacy Commission. The bruise on the brand could be long-lasting. After all, refusing a person work because of financial straits seems like an cruel practice given that many people who are out of work do have challenging finances. It sounds like a PR bomb waiting to go off if the social media's mob mentality decides to use your company as an example to the rest via a public shaming campaign. Ensure the position you are hiring for is high enough in the company to warrant that level of scrutiny. In the Mark's case, the Privacy Commissioner felt that credit reporting for sales associates contravened reasonable expectations of privacy given that "the position is closely monitored by onsite supervision and the point of sale monitoring procedures prohibit employees from processing their own transactions". Do not do the credit checks of everyone who sends in a resume, only those that actually receive a conditional job offer with the credit check being one of the conditions. Make certain the company official who receives a third party credit check is different from the person who will make the hiring decision. This way the manager who sees the document first can remove any identifying information which companies aren't allowed to collect before hiring. We all want to hire the best employee we possibly can and we all know resumes can be padded, interviews can be manipulated and social media profiles can be easily faked. 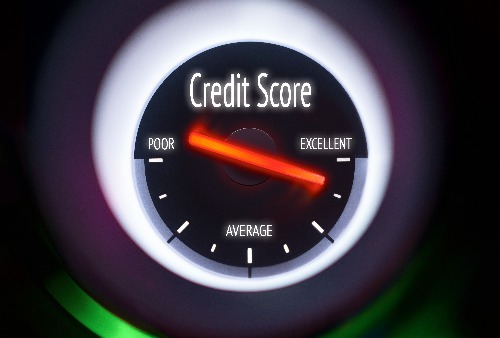 Using an empirical figure such as a credit score may appear to be an attractive option to separate the wheat from the chaff but it's imperative to understand there are risks involved if the practice is abused. Chris McKerracher is a Social Media Marketer and Professional Writer for Industrial NetMedia. Chris has worked as a journalist, editorialist and humourist for a number of Alberta newspapers since 1995. He has also written eight theatrical plays which have been produced with the ninth to be staged in May of 2016. Read about latest trends, emerging technology and tips on Human Resources and HR Director. Subscribe to our newsletter to get the headlines and expert information in your inbox.